With a location in Clearwater and a location in Tampa, the Tampa Bay practice of CBIZ MHM uniquely combines national resources with local perspective. Our professionals get to know your business, your goals, and your industry. Ultimately, our team understands that there is no substitute for personal, long-term business relationships built on solid communication and timely interaction. Healthcare service providers, organizations and their advisors are in the business of healing. Unfortunately, managing the increasingly complex operations that support those efforts often takes time and energy away from focusing on providing quality care. 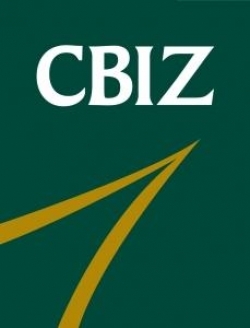 The Healthcare Consulting professionals at CBIZ are dedicated to working with you to meet your organizational goals while allowing you to keep your focus on what’s most important - your patients. Hundreds of hospitals/health systems, physician practices, ambulatory surgery and imaging centers and other health related organizations have come to trust CBIZ to meet their operational needs. Our professionals provide a variety of services to enhance the ability of executives and clinicians to manage key strategic, financial, personnel and information functions within their organizations. We leverage our experience to provide an advanced understanding of the complex factors that affect your operations and then work directly with you to apply our expertise to your specific areas of concern.